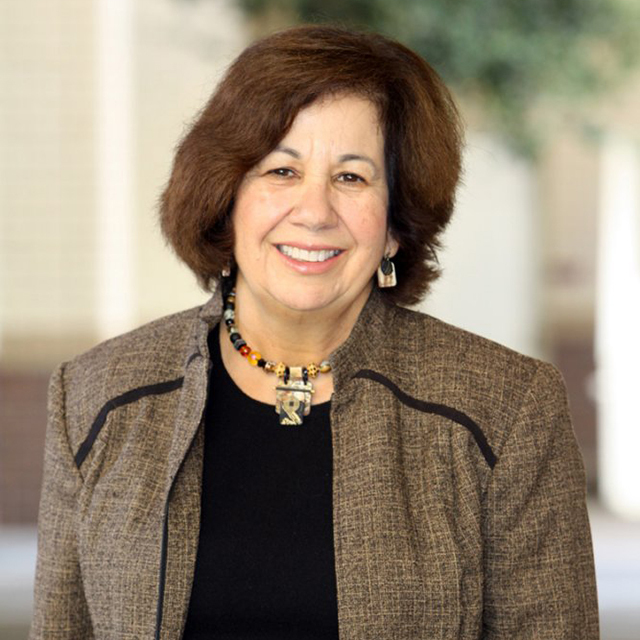 Vicki Ruiz, Distinguished Professor of history and Chicano/Latino studies, is an expert in 20th century U.S. history and has written extensively about Latinas and their role in civil and labor rights. She is a member of the American Academy of Arts & Sciences and was honored by President Barack Obama with the National Humanities Medal in 2015, a recognition of her achievements in broadening public engagement with U.S. history. Ruiz is chair of the Department of Chicano/Latino Studies in the School of Social Sciences and previously served as dean of the School of Humanities. She has a bachelor’s degree in social sciences from Florida State University and master’s and doctoral degrees in history from Stanford University.